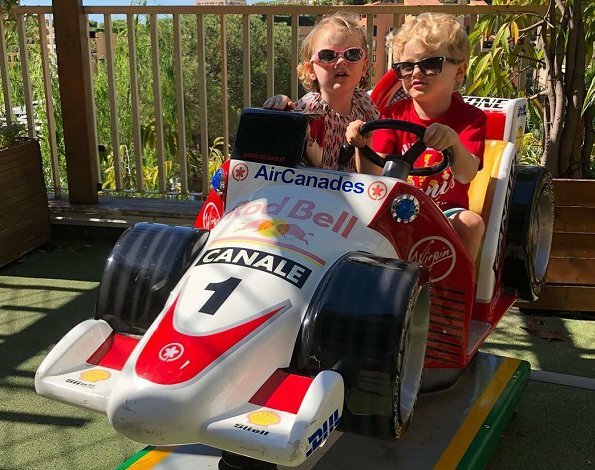 Prior to the Monaco Grand Prix 2018 which will take place on May 27, Sunday, Princess Charlene of Monaco shared on her Instagram account a photo of her twins Crown Prince Jacques and Princess Gabriella which she took on a toy formula 1 car with the title "Getting ready for the GP" on May 23, 2018. Mimi, that was my experience too! Why was that Mimi? Was it due to the preparations or did you have higher expectations? Well look at the race driver , his sister get a free ride. Very cute kids. o, wat leuk , ze zijn echt schattig !!! !